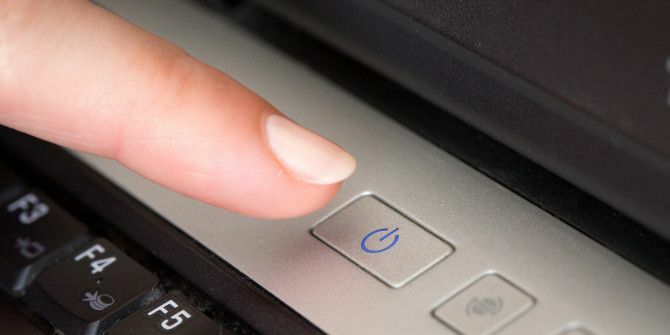 Cortana can do a whole lot in Windows 10 6 Coolest Things You Can Control with Cortana in Windows 10 6 Coolest Things You Can Control with Cortana in Windows 10 Cortana can help you go hands-free on Windows 10. You can let her search your files and the web, make calculations, or pull up the weather forecast. Here we cover some of her cooler skills. Read More . Voice control is really convenient, because you can do tasks in a few seconds that would normally take a half-dozen clicks. As great as Cortana is, though, you can make her do even more with a few tricks. "Cortana, shut down the computer"
"To shut down, go to Start: Power: Shut down." I didn't ask for instructions, I told you to do it. Once you’re set up Cortana, you can create your own custom shortcuts to shut down, log off, or restart your computer. Since she won’t do this by default, you’ll have to make a quick shortcut, but it’s a simple process. Shutdown.exe gets the process started; the -s command tells it to shut down and the -t 10 tells it to wait ten seconds before doing so. If you’d like to add a longer delay, feel free to change that number of seconds. Simply name your shortcut something easy to say (like Shut Down), and then you can say “Hey Cortana, Open (or Launch, or Start) Shut Down”. She’ll run the process and shut down the PC for you! Here are more commands you can add. Name them just like above and you’ll have every option available! What else do you use Cortana to do in Windows 10? Share your best tips below! Explore more about: Microsoft Cortana, Voice Commands, Windows 10. Well I encountered the same problem and windows defender fixed this issue, I scanned my hard drive and found three severe viruses that had been the culprit. Defender removed the viruses and my taskbar functionality was recovered after a restart. I'm glad this helped you, Steven! None of those fixes worked for fixing my taskbar when it's non-responsive to clicks.